AcuPlan Hawaii Honolulu Hawaii :: Sesame Unlu, D.Ac. Dr. Sesame Unlu, Acupuncturist and Herbalist, has over ten years of experience as a Natural Health & Wellness practitioner. She received a Doctorate in Acupuncture and Chinese Medicine from the Pacific College of Oriental Medicine in San Diego. She also completed a yearlong study in Advanced Acupuncture with Daoist Master Jeffrey Yuen of the Jade Purity Foundation in New York City. She is recognized as a Diplomat of Oriental Medicine from the National Certification Commission for Acupuncture and Oriental Medicine. When not at the office, Sesame is playing ukulele, in the garden, or at the beach with her dogs. “Sesame is a natural born healer. She is not only a trained and skilled acupuncturist but in my opinion she uses her natural intuitions to also aid in the insight and treatments she offers her patients. I came to sesame over a year ago to treat my daughter at the time who was having debilitating hormonal migraines and excruciating periods. Sesame was so so gentle loving embracing and trustworthy that she put my daughter at ease. Sesame got my daughter on an acupuncture and herbal protocol that helped her tremendously. I am happy to say my daughter after having migraines for almost 2 years has been migraine free for over a year and her periods are mild with no pain. Sesame also treats me for anxiety and panic disorder. She has been so tuned in to my needs every time we have a session and makes me feel completely comfortable every time we have a session. I can't say enough about Sesame or her approach to Chinese medicine. We will forever be clients of hers.” - Colena D.
"Finding Sesame was hands down one of the best things I could have done for my health. Not only is she wonderful at what she does, but is a truly caring, intuitive, thoughtful individual. Having had many frustrating experiences with doctors in the past, I was amazed that I could be seen by someone who took so much time with me, answering all of my questions in depth, putting me at ease and providing hope for wellness. Her amazing acupuncture sessions, paired with the use of medicinal herbs and dietary guidance has truly changed my quality of living." - ​Kara G.
"Having a severely pinched sciatic nerve in my right leg, I went to Sesame not expecting relief. I was very pleasantly surprised to find the pain almost completely gone. In the past, I have had to resort to spinal injections to take care of the problem! 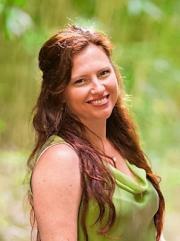 She is intuitive, gentle, knowledgeable and explains what she is doing very well! I would highly recommend her to anyone!!!" - ​Maxine H.
​"Sesame is the best!!!. She is an intuitive healer. I had old car injuries and pain in my right shoulder. My husband could not move or lift his arm. After only 3 treatments each we both feel great, the pain is gone and we can move our arms. Next time we plan our trip to Maui we will definitely include a visit with Sesame." - Ewa B. "Sesame is an awesome healer. I have had two sessions with her, and I feel completely healed of something that's been bothering me for six months now. She's super sweet, and she got right to the root of my issue. I plan on going back for more, just to continue to work on some smaller things. Her prices are really affordable, and the space for her treatments is tucked away from the main drag in Makawao. It's comfortable and lovely. I highly recommend getting acupuncture treatments from Maui Health & Wellness!" - Daniel S.
"Sesame is excellent at what she does. Caring, knowledgeable, and takes her time to do things right. Her approach is holistic. She listens and asks the right questions. As a healthcare professional myself, I am highly sensitive to the details that go into treating people right, and this woman does just that." - Rashad R.